To promote a positive relationship between the community and the Lincoln City Police Department through the education of the city on the modern day use of the Law Enforcement K9. Lincoln City Police Department K9 Fund is used to raise money to lessen the financial impact of the city of Lincoln City and to keep citizens and friends up to date and involved in our K9 program, activities and events. In addition to fundraising efforts, we utilize social media to share the activities of the Lincoln City Police Department K9 teams both in their law enforcement capacity as well as when they participate in educational demonstrations with civic organizations or community oriented venues. We also share links to non-affiliated law enforcement K9 team pages, recognize canines that serve in other aspects of public safety and the military, share helpful tips to educate the public on the care of their own canine family members and so much more! 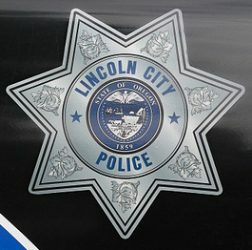 The Lincoln City Police Department K9 Fund uses social media to interact and connect with the community regarding the use and fundraising efforts for the Lincoln City Police Department K9 Program. We realize that negative public opinions are often born out of misinformation or misunderstanding and we welcome private messages with any questions and/or concerns as they pertain specifically to our K9 Fund or law enforcement K9s. Additionally any comments or messages that are determined to be violations regarding hate speech or harassment will be forwarded to their administration for further review.